Location: Home » Uncategorized » What is Yun Shield ? What is Yun Shield ? The Yun Shield is one of the most powerful shields for Arduino Boards. The Yun Shield is designed to solve the Internet connectivity and storage issue for Arduino Board. 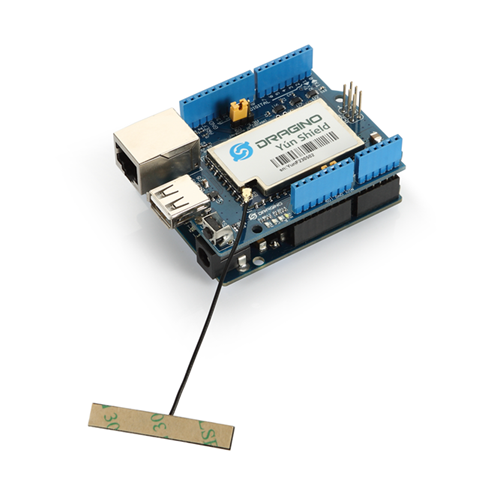 The Yun Shield runs the Open Source OpenWrt system (Same system as runs in Arduino Yun) and it is fully compatible with the Arduino IDE v1.5.4 or later. 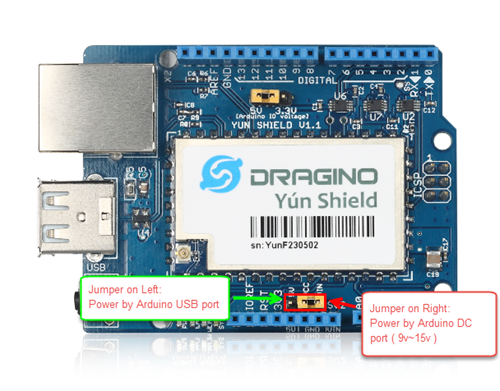 The Yun Shield is the ideal choice for Arduino Projects which require various internet connections and more storage. Basically, a Yun Shield + Leonardo equal the official Arduino Yun, but the Yun Shield is more flexible because it can work with other Arduino board such as Uno, Duemilanove, Mega etc. The Yun Shield uses external an wifi antenna which provides stability and the possibility for various configurations and environments. v1.x can be powered by DC or USB port from Arduino, while v2.x can only be powered by DC port. v2.x support two USB host ports, while v1.x only support 1 USB host Port. Yun Shield v1.0: The first hardware release for the Yun Shield. Yun Shield v1.1: Minor change from v1.0 according to feedback from customers. Change the design to auto works with 3.3v or 5v Arduino. no need to manually select jumper. Level Shift is now can output more current. this increase the compatibility with different Arduino boards. Compatible with Arduino IDE 1.5.4 or later, user can program, debug or upload sketches to the Arduino board via the Arduino IDE. Supports internet connection via LAN port, WiFi or 3G dongle. Supports USB flash to provide storage for Arduino projects. Failsafe design provides robust system. PWR: Power Indicate LED. Turns on once there is power. LAN: Indicates there is a LAN connection when it is on or blinking. The RJ45, WiFi, USB Host and Failsafe are connected to the Dragino HE module directly. 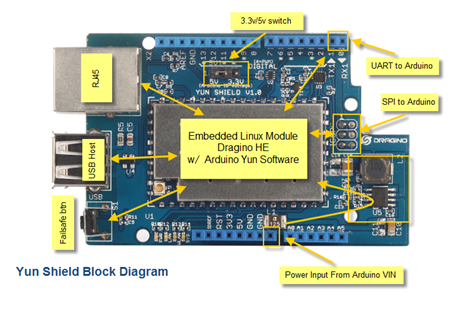 And the Dragino HE module uses SPI and the UART to communicate with the Arduino Board. The Yun Shield is compatible with 3.3v and 5v Arduino boards. The on board jumper SV1 is used to set the SPI and UART to 3.3v or 5v level. The SPI interface is used to upload the sketches from the Arduino IDE. The SPI interface only connects to Dragino HE during uploading so the Arduino SPI can still be used to connect to other SPI slave devices. The UART interface is used for the Bridge class in Arduino: there are lots of examples explaining how to use the bridge class in the Arduino IDE. It is the core of the Yun solution. We must make sure the serial Interface of the Arduino is not used by other hardware. 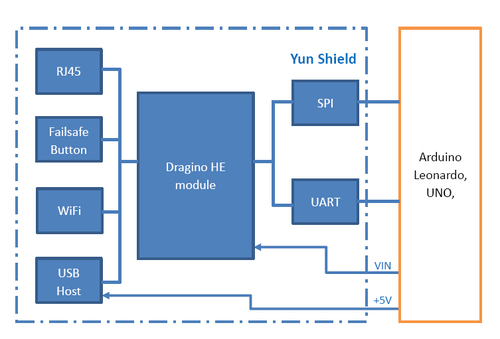 The Dragino HE is the core module of the Yun Shield. The HE module requires around 200mA current when at full load, so it is powered by the Arduino VIN pins to avoid overheating in the Arduino onboard 5v LDO. So when the Yun shield is used, the Arduino board should be powered by DC port instead of USB port. The DC input can be 9v ~ 15v. The USB Host on the Yun Shield gets power from the Arduino +5v pin, since the +5v from Arduino comes from the +5V LDO, to avoid overheating on the Arduino Board, when the USB host is in use, it is recommended to use +9v DC. The User can power the Yun Shield if the overall current (arduino + Yun Shield + other shields) is under the limitation of the Arduino 5V LDO. In the Yun Shield v1.1, there is a jumper (on the bottom) to define whether to power the Yun Shield from VIN or 5V USB. So the User can put the jumper to 5V position and power the Yun Shield via the Arduino USB. If the overall current exceeds the LDO limitation, strange issue like: disconnect, reboot may happen in the Yun Shield. The PWR from the RJ45 port is connected to the VIN pin of Yun Shield. so it can also power the Arduino. 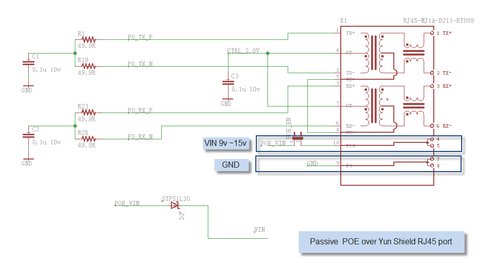 the Input of POE power is 9v ~ 15v. The Yun Shield has a WiFi interface and a LAN port. 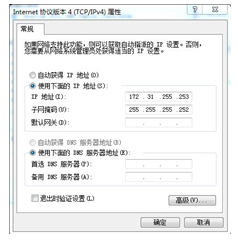 Each of them has an IP address and can be used for internet connection and device management. A fall back IP 172.31.255.254/255.255.255.252 is assigned to the Yun Shield’s LAN port so the user can always access the Yun Shield with this ip if their laptop has the IP 172.31.255.253/255.255.255.252. 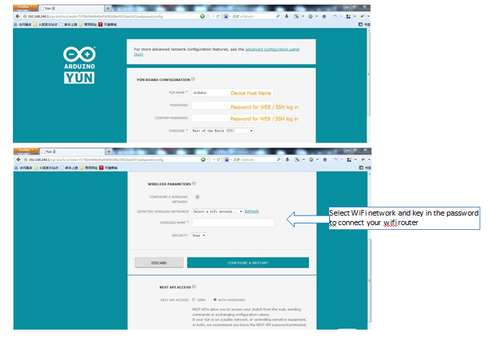 If the Yun Shield’s Ethernet port is connected to the uplink router or the WiFi interface is associated to the WiFi router, a PC in the same network can use the Arduino IDE to detect the Yun Shield’s IP address as described in Detected Yun Shield. The Yun Shield runs an Open Source Linux system. If the user has a PC on the same network as the Yun Shield, the user can access its system via either a Web Interface or Secure Shell (SSH). The recommended browsers to configure Yun Shield are Firefox and Chrome. Simply type the IP address into your browser and you will see the log in page of Yun Shield. 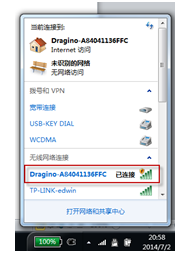 Default User name and Password for the Yun Shield is root/dragino. Via SSH, the user can access the Linux system directly and customize the system to support more features and applications. After log in, the GUI will show the WIFI / ETH interface status. Click the Configure button and now the user can configure the device password and network parameters. 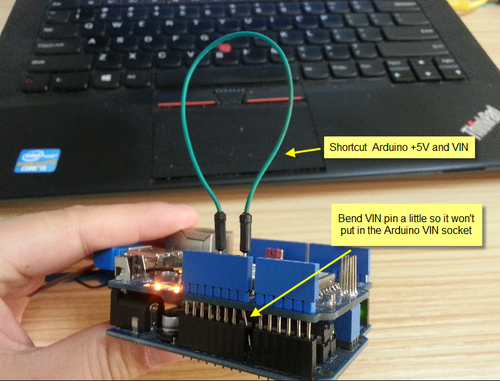 Auto Detect AVR: Yun Shield will auto detect the Arduino AVR part and use related info to update. Upload Bootloader: If checked, the Yun Shield will add the Arduino bootloader when upgrading sketch. 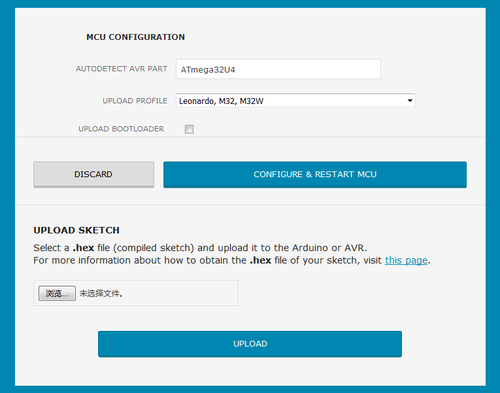 User will be not be able to upload a sketch to Arduino if there is no bootloader in it. Go to the GUI → Upgrade page and select the correct firmware to upgrade. The firmware used for web upgrade should be a sysupgrade type firmware: the user can choose if keep settings or not after an upgrade. Normally it will take about 2 minutes to flash the new firmware. Then all the LEDS will blink together which indicates that the system is rebooting with the new firmware.